The pharmacy retail chain and drug distributor will buy the insurer for $69bn in a merger to build what the companies say will be a new, more affordable healthcare concept. The pharmacy retail giant CVS Health Corp.'s purchase of health insurer Aetna Inc. in a $69bn merger will shake up the way drugs and healthcare are delivered. The companies say a more integrated healthcare management and delivery platform will help eliminate waste and make healthcare more affordable, while also presenting new opportunities through CVS' walk-in clinics to bring expanding healthcare options to patients. The combination of two heavyweights working in different areas of the healthcare spectrum could present speed bumps in the near-term, but the move announced Dec. 3 could be a smart long-term defensive play to position CVS to compete in a dramatically changing healthcare market by reducing its dependence on dispensing prescriptions. "We see the healthcare marketplace evolving into a more value-based system," CVS CEO Larry Merlo said. Much of the merit for the CVS/Aetna deal is around the opportunity to diversify CVS's business, eliminate waste and drive efficiencies in the system that CVS says will make healthcare more affordable for patients and lower costs for payers. The companies expect to generate synergies of $750m by the second year after the close of the deal. The retailer and insurer also see opportunities to use data analytics to drive more value-based decisions around healthcare decisions. "We see the healthcare marketplace evolving into a more value-based system, where premium is placed on the efficiency with which care is delivered and we will become a leader in driving further adoption of value-based care models through our combined assets, promoting lower cost sites of care, eliminating unnecessary spending, and enhancing our clinical programs by integrating data across our enterprise assets," CVS CEO Larry Merlo said during the call. CVS would be able to leverage Aetna's massive claims data for making-value-based decisions. Aetna insures roughly 22m people in the US, people Aetna could push into CVS to receive more healthcare services. The companies view CVS' 9,700 pharmacy stores and 1,100 MinuteClinic walk-in clinics as an opportunity to establish healthcare hubs patients can go to for vision, hearing and nutrition services as well as clinical and pharmacy services. 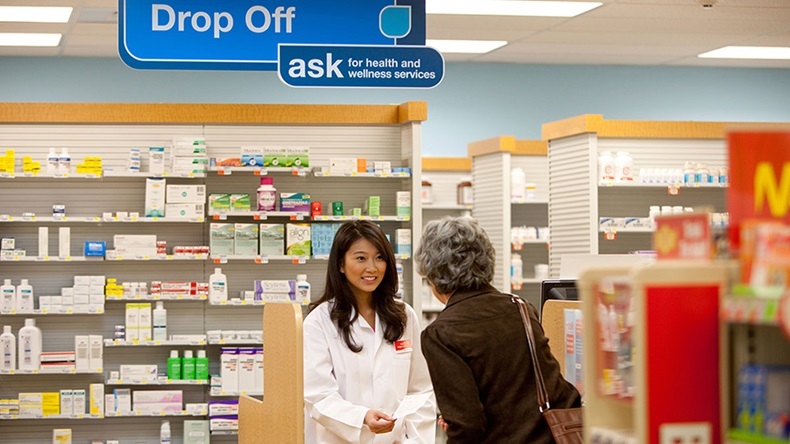 CVS said it plans to pilot many different programs as the combined company evolves. As one example, CVS said it envisions welcoming diabetes patients in stores for counseling on weight loss programs, medication adherence and glucose monitoring in between doctor visits. Keeping diabetes patients on a solid healthcare program could save the US healthcare system billions of dollars, according to the companies. "Whether it's the role of the pharmacist, the role of the nurse practitioner at MinuteClinic, the expansion of services at Minute Clinic that could include blood draws, or the role that a nutritionist can play in CVS … those are all things that in addition to what already exists today that we're going to be piloting," Merlo said. Under the terms of the agreement, CVS will acquire all outstanding shares of Aetna for a combination of cash and stock, with each Aetna shareholder receiving $145 per share in cash and 0.8378 shares of CVS for each Aetna share. The transaction values Aetna at approximately $207 per share, or $69bn. Including the assumption of Aetna's debt, the total value of the deal is $77bn. Analysts were largely pleased with the acquisition, understanding the challenging dynamics ahead for CVS, though they view the near-term execution as high-risk. "We would be supportive of the company's long-term strategic decision to vertically integrate into the managed care business, and believe that once fully integrated, the combined entity will be in an enviable competitive position," Deutsche Bank analyst Glen Santangelo said in a Dec. 3 note. Jefferies analyst Brian Tanquilut, in a Dec. 4 note, said, "We share management's views on the need for a more integrated and community based healthcare approach and believe that CVS is a strategic asset that has the ability to position itself as a unique player that can provide a solution to this void the US healthcare system," he said. But he pointed out the changes needed across the 9,000+ retail stores "poses meaningful operational risk to the combined entity."